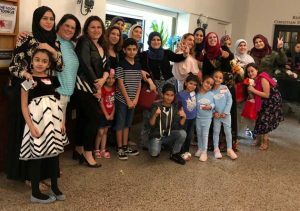 Group of refugees supported by South Florida’s Refugee Assistance Alliance organization. MIAMI, Mar 22 2019 – South Florida has long been known as a haven for refugees and migrants. Widely referred to as the “gateway to Latin America”, 1 in every 5 Florida residents is an immigrant. Significantly, the “sunshine state” welcomes 1,000 new settlers every day. Unfortunately, the incoming refugee quota in the United States is at a historic low. Surprisingly, in 2018, only 11 Syrian refugees were admitted in North America.